Luc's team managed to avoid cutting any branches and the tree was unharmed. I would highly recommend Luc's Roofing." "Thank you & your crew for an outstanding job. I cannot believe the care taken toward the property – not one damaged plant in the garden and no mess or leftover materials to speak of. Please don’t hesitate to use us as a reference if ever needed!" "Great job guys. There are not very many roofers that take as much pride in not only the job of roofing but in the care that was taken in covering up all the plants, windows, and air conditioners which made my neighbours very happy. I found Luc to be very helpful and professional. We talked about everything from condensation, air circulation, ice shields, felt paper, shingles and the importance of eavestrough extender. Ben and his crew were simply awesome, on the roof they were quite organized. I have spoken to many neighbours in the area that had their roofs just recently done and after watching and seeing the care and workmanship that Ben and his crew displayed on and off the roof all said the same thing,”you get what U pay for”. I believe a good roof is an investment in prevention. 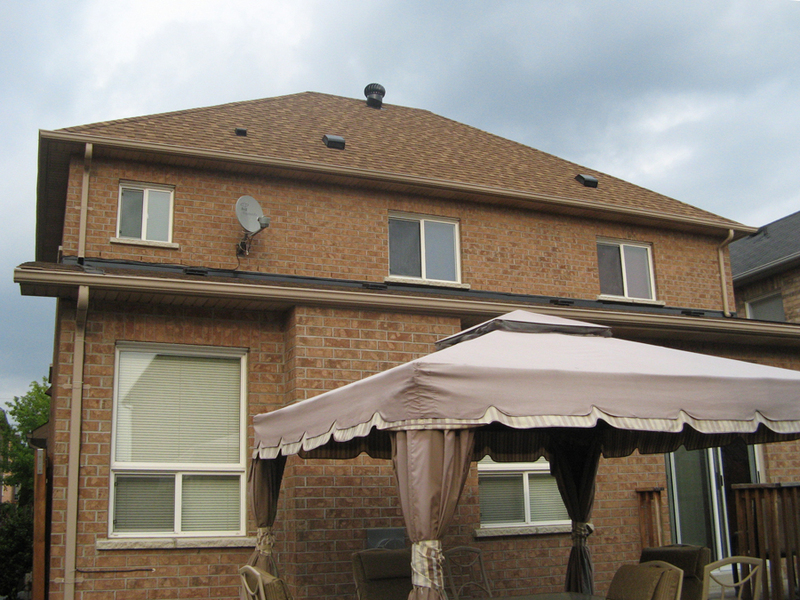 I would and have recommended Luc’s roofing to anyone who wants peace of mind." "I’m in awe of the work ethic and ability of your contracted crew and firm. Wow. But then I am 60 years old and they are not. They have roofing down to a science and art. I know that my home is just another roof to them, but it is my home. However, their ability, energy, and attention to detail, despite weather, astounded me. Your organization and I were on display on my street and turned some heads. … I will recommend you to my friends, Luc; you are working with the right people. … The roof looks great." 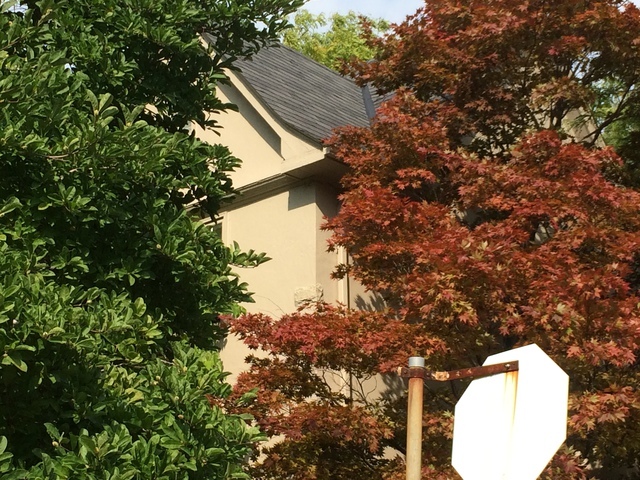 "I would like to take this opportunity to express my appreciation to Luc’s Roofing for the excellence of the work and the manner in which it was performed. The two young men working on the roof worked quickly and efficiently and with the minimum of inconvenience to me. They were also extremely considerate of the neighbors’ property and careful not to damage their gardens or mine. They did an excellent job, including many “little finishing touches” that make all the difference between an “okay” job and a truly outstanding job. Please accept my best wishes for your continued success." 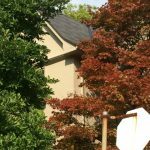 "It is my pleasure to let people know what a wonderful job Luc’s Roofing has done for me over the years. I would say the first job Luc did for me was over 20 years ago and any time after that when he has fixed my roof, my eaves and other related jobs required for the exterior of the house his work is very good. He has a good crew working for him, they do an excellent job, they are quick and very good at what they do and they are always there to follow up after and always keep in touch to see how everything is going. I have recommended Luc’s Roofing to several people I would give Luc a 5 out of 5 in satisfaction on a great job done. If any work needs to be done on the exterior of my house Luc is always the first one I call." "I originally called Luc’s Roofing because a few months after moving into our house I received a letter from Luc’s that was addressed to the previous owner hoping that the work that had been done about 20 years ago was still holding up and asking if it would be time to consider having them come over to see if the roof needed work. I was amazed and impressed that the roof we had was that old because the home inspector told us it was in great shape so I decided to file the contact for future reference. Four years later, time came for us to rebuild a deck over the second floor so that flat roof needed to be redone, I wasn’t going to spend good money on a deck built over a twenty year old roof. We also needed to fix the small shingled roof at the front of the house over the square bay window. I figured I knew who to call. They gave us a competitive quote, showed up when they said they would, did what they said they were going to do, cleaned up after themselves, and charged what they said they were going to charge. What more can you ask for? On top of it all, they checked the roof and said it was still OK for now. I’m sure that roof won’t last forever but when it is ready to be done, I know who to call." "Thank you so much for attending to my roof so promptly and for having the front window repaired. It is definitely like new. Thank you too for installing and supplying the chimney cap at no extra charge. It is indeed gratifying to deal with such an honest and professional person. I would not hesitate to recommend your services to others." Sincerely M.E. 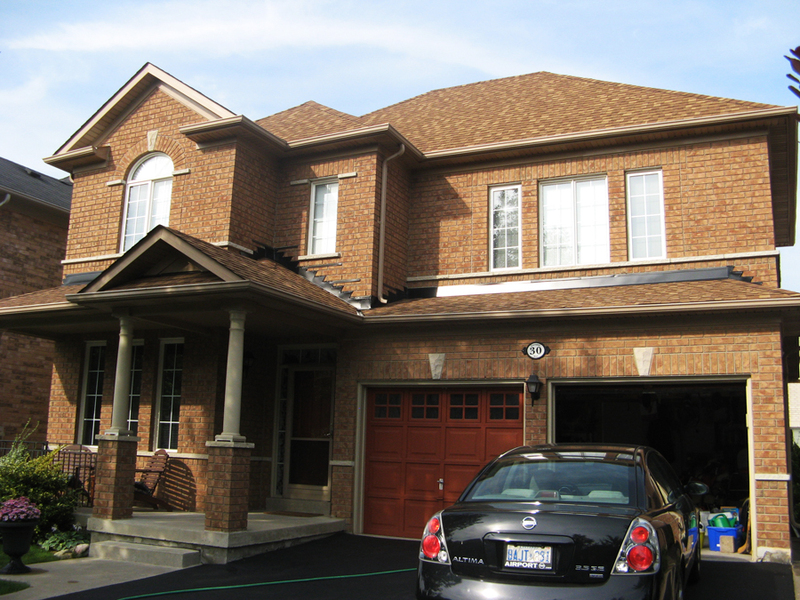 "I was fortunate to discover Luc’s Roofing more than 20 years ago and have used his services on three different homes in Toronto. Remember the snow storm of all snow storms when Mayor Mel called in the troops. I called Luc when the snow was too much for my roof. Just this last year another emergency, another call, another job well done. You have to love the guy for his honesty, his integrity and the quality of his work. I know I will be calling Luc whenever I have a problem." "I want to commend you and your men on the excellent job you recently did on our roof. Apart from the quality of workmanship and materials, you all conducted yourselves very professionally and it was a pleasure doing business with you. Good luck & may your only problem be the job backlog! Cheers ( salut )"
"Excellent quality, service and, overall, a company you can trust. Luc does things properly and takes pride in the work he performs. 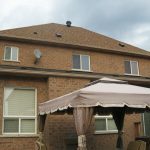 I used Luc's Roofing to replace my large flat roof and it was done properly with careful attention to proper venting, drainage, insulation and overall workings (not just replace the materials). I feel good about picking Luc's Roofing. I have also used Luc on my prior house with a pitched roof and it was issue free." Copyright © 2017 Luc's Roofing Ltd. All rights reserved.